• Are you overweight despite the fact that you don't eat that much? • Do you follow standard weight loss diets to the letter, yet make no headway losing weight, or get stuck far short of your goal? • Have you noticed that many slim people definitely consume more food and more calories than you do? • Are you just plain unpleasantly hungry on low-calorie/ low-fat diets? • Do you find the amount of food you eat is really the least you can take in without feeling physically unsatisfied? • Do you feel unfulfilled when you finish a so-called "balanced" meal? • Do you find that when you eat the amount of food that feels just right, you don't lose-or you even gain? 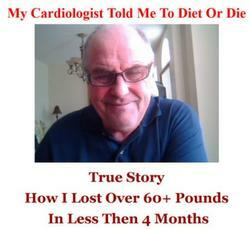 • Do you find yourself losing and regaining the same 10 to 15 pounds? • Do you gain weight even though you eat natural, low fat foods? • Have you often said, "I'm really very disciplined; it must be my metabolism"? • Do you ever wonder if your weight problem could be hereditary? • Do you eat to make yourself feel better?